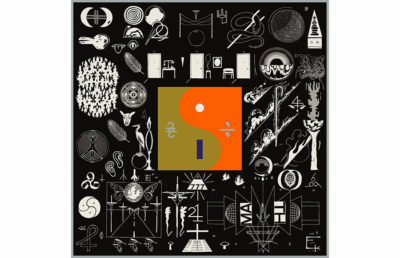 Recently, I sat down at a cafe to try to get some work done and selected Bon Iver’s 22, A Million as my accompaniment. I had just settled in — gotten my coffee, plugged in my laptop, cracked my knuckle and started typing — when I realized I was listening to “____45_____,” the second-to-last song on the album. Somehow, despite having listened to this record about a hundred times — on planes, on road trips, working, etc. — I’d never fully grasped just how short it is. 22, A Million clocks in at 34 minutes long. Compare that to some of the pop records that have dropped recently: Drake’s Views is 81 minutes long; James Blake’s The Colour in Anything is 76 minutes. British drunk-hunks The 1975 released a 74 minute-long album last year. What’s wrong with this? Why not get more songs for our buck? Well, for starters, it’s increasingly not our direct, hard-earned dollar that music labels are after anymore. This is the age of streaming, and from a royalties perspective, it makes perfect sense to pack an album with as many potential hits as possible. Given that it can cost a record label up to $1 million to write, produce and market a single pop song, it seems prudent and economical to simply release everything decent an industry writing camp can churn out in one of its standard two-week sessions. It wasn’t always like this. Up until the introduction of the CD, or the shorter-lived cassette tape, the primary restriction on album length was what could be pressed successfully into a 33 1/2 RPM vinyl: about 22 minutes per side. Within these limitations, artists and producers were forced to think carefully about which songs made the cut and which ordering would produce the most cohesive listening experience. You can’t skip a track on a vinyl — well, you can, but you just don’t — so the concept of a “long play” really was just that. I’m not trying to wax nostalgic about the good ol’ days of vinyl — besides, vinyl is still alive and well. But what I have noticed is that the freedom for albums to essentially be infinitely long is at odds with the way we as listeners consume music. While the runtime of new albums continues to bloat, the amount of uninterrupted time we have in our lives to listen to music continues to decline. I sure as hell don’t have 81 minutes to sit and listen to an album. The result? We don’t listen to albums anymore. Before the digital age, buying a CD to stick in our car’s stereo reasonably enforced the concept of consuming an album all at once. But the explosion of custom playlists, begun by the CD-burning ability of iTunes in the early 2000s, has produced an era of preponderant Spotify playlists. I have nothing against playlists; I use them all the time. But the more I engage with self-made playlists or the playlists Spotify magically constructs for me, the less I interact with albums as cohesive units. I end up knowing one, maybe two songs off an album — the popular ones, the ones the algorithms think I’ll like. But I want more. If I look to some of my favorite albums of late, and to some of the critically acclaimed albums of the last few years, I notice a different trend. Sufjan Stevens’ Carrie & Lowell is 43 minutes. 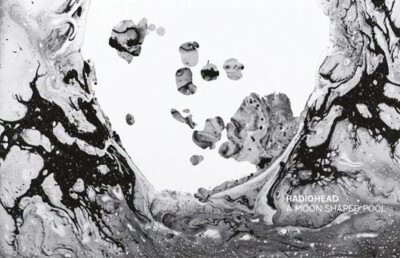 Radiohead’s A Moon Shaped Pool is 52 minutes. Bowie’s Blackstar is 41 minutes and Frank Ocean’s Blonde is exactly an hour. To a certain degree, I have to be cherry picking here; there are absolutely albums that are both long and amazing. But the feeling I get, more and more, is that “in defense of the short album” might actually start translating to “in defense of the album.” For artists who want to make records — self-contained pieces of art that are consumed and interacted with in their entirety — I feel the short album is an increasingly effective way to do it. It brings me back to that coffee shop. I love when I can actually listen to a whole album within my hectic schedule that almost always denies such an enjoyment. It’s not just the pleasure of completion that drives this, but the joy of appreciating albums that demand to be taken as a whole, where meaning is encoded in the interplay between tracks. 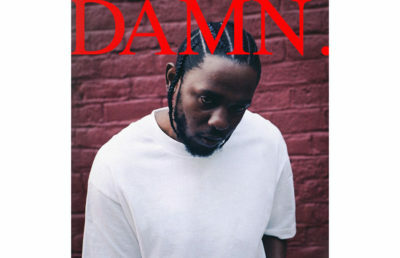 Just a few days ago, Kendrick Lamar released his fourth album, DAMN., and whether you like or dislike it, one undeniable fact is that Lamar was focused on crafting an album that isn’t designed to be peeled off into singles. He pairs dichotomous tracks — “LOVE.” and “LUST.,” “PRIDE.” and “HUMBLE.” — and weaves themes and key phrases through multiple songs, constantly redirecting and forcing reinterpretation. 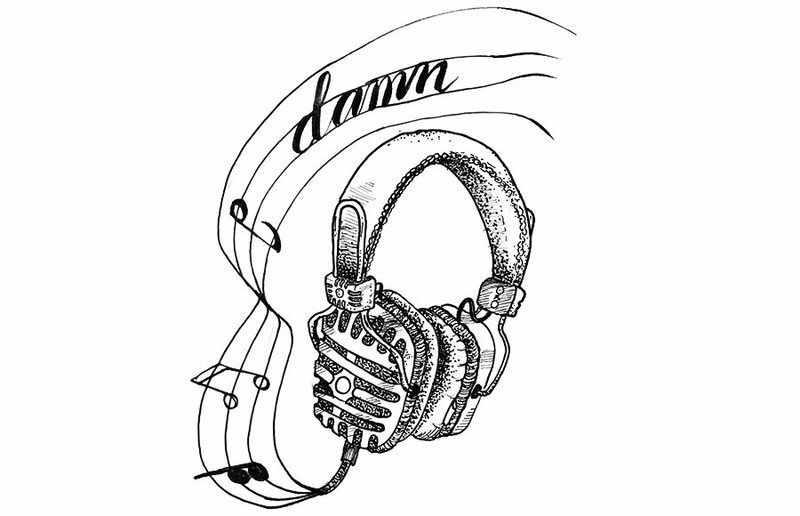 With DAMN., context matters, and there’s something refreshing about being handed an album that engenders that level of engagement from its listeners. All that is packed into 55 minutes, and feels shorter still thanks to Lamar’s often rapid-fire delivery. We, as a society, still treat the construct of the album with reverence; we still give awards for best album, and visualize artists’ impact via their albums. But more and more, we don’t have time to just listen to whole albums. So as long as we can’t reverse the trend of complicating the chronology of our lives, maybe the short album can help save the album itself.